Recruitment requires a lot of creativity these days. In a job market that is largely candidate-driven, recruiters need to be on it left, right, and center in order to find the talent their organization so desperately needs. That includes being aware of the current and rising trends in the recruitment land. Some of these recruiting trends will still be relevant (perhaps even more so than last year) in 2019, but at the same time, the focus shifts onto several other parts of the recruitment landscape. In this article, we’ve selected 11 recruiting trends for 2019 we believe will shape recruitment this year. Some of them you may have heard of already, but we’re sure you’ll find at least a few you’ve missed and really should be aware of. There’s a reason why they say two heads are better than one. When it comes to recruitment, involving your entire team in the recruitment process can be of tremendous value. Just think of the potential that could come out of the combined (personal) networks of your team members, for example. This is one of the reasons we see an increase in employee referrals and employee referral programs – and companies that provide AI driven technology to automate your employee referral efforts. Referred hires generally are (among other things) more productive, more engaged and less likely to leave. Given the current market situation, it seems only natural for companies to increase their focus on collaborative hiring even more this year. The same thing goes for internal mobility programs. Although not that many organizations have a (well-developed) internal mobility culture and program in place yet, this can be a great way to meet skill shortages, decrease turnover and boost engagement. As we’ve said, 21st-century recruiters need all the help they can get to find the best candidates. This explains the rise of recruitment marketing solutions. Recruitment marketing – also called the pre-applicant stage of talent acquisition – is the process of attracting and nurturing talent to your organization by marketing to them. Just like the main goal of traditional marketing is to drive individuals to buy a company’s product or service, the primary objective of recruitment marketing is to get people to apply to your organization’s job openings. We’ve already seen the use of certain marketing techniques in recruitment before (think of programmatic job advertising tools, for example). Now, however, companies increasingly turn to, let’s call them full-service recruitment marketing providers. This means a recruitment marketing solution that helps organizations strengthen their employer brand, reach candidates on social media and optimize their career sites (of course, there are many other possibilities depending on your company’s specific needs). To stick with the marketing jargon: this year, we’ll continue to see a transition from outbound to inbound recruitment. With certain industries already struggling to find skilled people and a growing number of baby boomers retiring, recruiters have no choice but to look beyond the ‘borders’ of their industry to find people. So rather than looking for relevant previous experience, recruiters will increasingly focus on transferable skills and hence (considerably) expand their potential talent pool. These are examples of transferable skills you can look for when searching for your dream candidates. Yes, there it is again, artificial intelligence. And yes, we know you’ve probably been inundated with AI-related content. However, applications of AI in recruitment will become even more widespread in 2019. This year, in one way or another, AI will become a must-have in the recruiter’s toolbox. 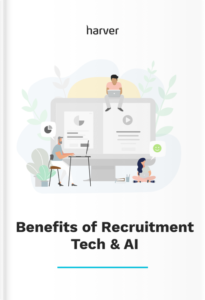 From automated candidate sourcing, recovery, and matching, to hiring remote workers and creating customized employee value propositions, the number of different uses of AI in recruitment just keeps growing. For most organizations, their workforce already consists of a combination of full-timers, contractors, freelancers and everything in-between. In the US alone, 36% of all workers (around 57 million people) are in the gig economy, a number that is likely to grow even more this year. Independent workers like the fact that they can work anywhere they want, when they want and are often happier than ‘traditional’ employees. In fact, satisfaction levels for independents have never been as high as they are right now: 74% of independent workers say they are highly satisfied. Technology, of course, is a big enabler of this kind of freelance work: people can use their smartphones, have free internet available in a lot of (coffee) places, and freelance platforms like Upwork, PeoplePerHour and Fiverr match freelancers with projects. Especially when companies need to find skilled people urgently – and in an industry where talent is scarce – they’ll have to turn to freelancers, contractors, etc. to meet their needs. On a positive note, working with freelancers can be a good way for a company to find out if they’d like those people to become full-time employees: if there is a mutual click, you may have found yourself a great new hire! Like AI, diversity hiring is one of those themes that remain relevant in 2019. Diversity in the broadest sense of the word that is; gender, ethnicity, geographical and age. Diversity and inclusion initiatives have proven to offer many benefits, such as improved employee happiness, productivity and retention and a positive reflection on your employer brand. So this year, we’ll see more of said initiatives pop up – think of a digital marketplace that connects women with employers, for example. We’ll also see an increase in the number of companies ramping up their diversity hiring efforts. Do like Nike did, basically. The American sportswear giant took a stand last year when it used a black and white photograph of NFL quarterback Colin Kaepernick as a part of its advertising campaign to celebrate the 30th anniversary of Nike’s ‘Just Do It’ slogan. Kaepernick caused quite the controversy back in 2016 when he kneeled during the national anthem to show his support for people of color in the United States and to bring attention to police brutality. More than two-thirds of consumers believe that it’s important for brands to take a stance on certain political and social issues – a number that is probably going to increase even more with the next generation of shoppers. So, even if it meant they’d lose customers – and people did indeed boycott Nike following the Kaepernick ad – Nike chose sides. It’s the same for employers. Today’s workforce is on the lookout for mission-driven employers. People want more than just a paycheck from the organization they work for, they want to have a sense of purpose in their job. And, just like today’s consumers, job seekers often want their own values to align with those of their company. 2019 will, therefore, see an increased focus of companies building and sharing their mission, taking stands and creating their own version of Nike’s ‘Just Do It’ to attract talent. They’ve been entering the global workforce for a while now, although so far, mainly in internship and entry-level positions. Slowly but surely though, Generation Z (the cohort that comes after the Millennials, born somewhere between the mid-’90s and the mid-2000s) is now finding its way into the workplace. If your knowledge about these Digital Natives is a little rusty, you might want to bring it up to speed again, because this year the recruitment of Gen Z will, without a doubt, accelerate. To succeed in recruitment in 2019, make sure to consider these points when creating your recruitment strategy. Gen Zers will form a major part of the workforce in coming years, that’s why recruiters need to understand their needs and wants. After the implementation of the General Data Protection Regulation in the European Union in May last year, it’s impossible to think of candidate (and employee) data without thinking of the protection of this data. Whether companies like it or not, data security has now become a theme for every provider of recruitment technology that uses people’s data. Since a lot of providers (if not all of them) use data and analytics, this means that virtually everyone needs to have a system in place to protect candidate data. Why is this still relevant in 2019 you wonder? After all, companies had to be ready when the GDPR became effective last year. This is true, of course, but the regulation does have implications for new features, technology, and solutions that are introduced to the market and that use data. Which is why data security remains highly relevant this year. This one consists of two elements. On the one hand, there is an increased focus on hiring people with future-proof skills. Think of complex problem-solving capabilities, critical thinking, cognitive flexibility, etc. On the other hand, there has been more and more attention to people’s soft skills recently. It turns out, companies are often struggling to find talent with good soft skills (communication, listening, empathy, etc.). As developments in technology are changing many industries rapidly, the demand for people with transferable, future-proof (as much as possible) and soft skills will rise. 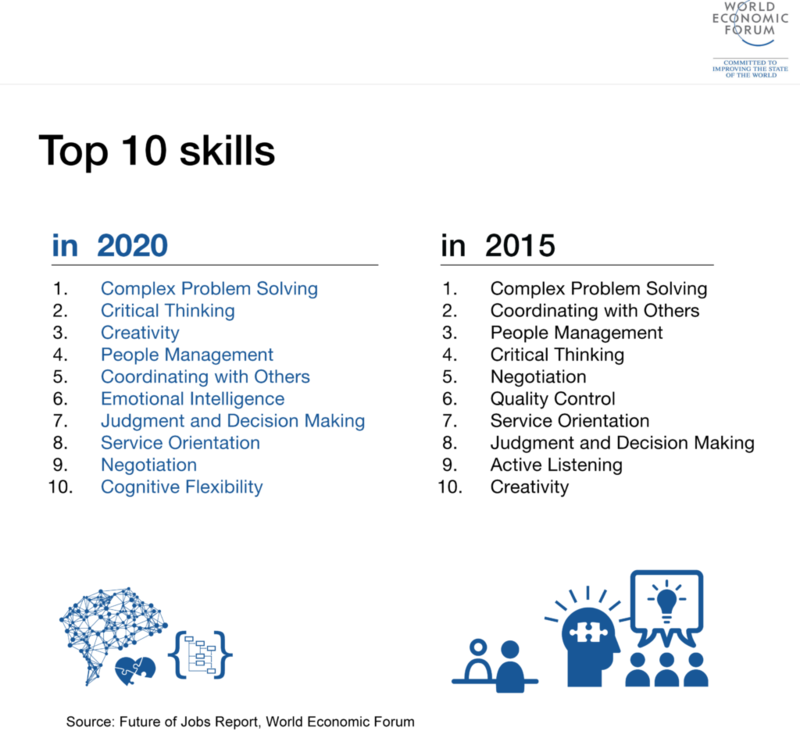 Critical thinking, creativity and coordinating with others are gaining importance as the top skills of the future. This is a result of several of the trends we’ve seen above, like the growing gig economy and the shift from experience-based hiring to hiring based on transferable & soft skills for instance. Both of these developments are likely to change the way organizations manage their projects. In a time where finding good full-time employees is hard and turnover often is high, it could make more sense to start hiring in a different way. Based on projects rather than job descriptions, for example. This has, among other things, the advantage of gathering those people who are the best in their field for each project. Instead of buying labor, organizations will actually be buying (and thus recruiting for) results. Voila! There you have it, our selection of recruiting trends for 2019. Of course, everyone has a (slightly) different opinion when it comes to ‘what’s hot and what’s not’. So our list isn’t exhaustive. But it does give you a good overview of those parts of the recruitment landscape that you might want to keep a close eye on this year. Whether we were right trying to look into our crystal ball – and if so, to what extent – we’ll find out in the next 12 months. One thing’s for sure, we’ll be telling you all about it in next year’s article!